For three years in a row now we have hosted an Easter brunch & egg hunt on the Saturday before Easter. It’s something my kiddos look forward to with GREAT anticipation. 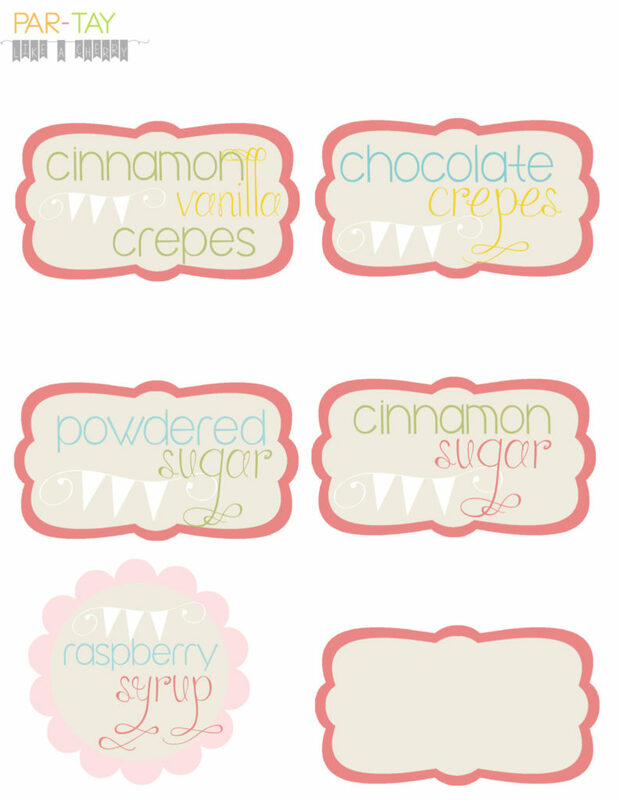 This year I wanted some labels for our buffet, so I put these together to go along with the recipes found over at Jamie Cooks it Up. 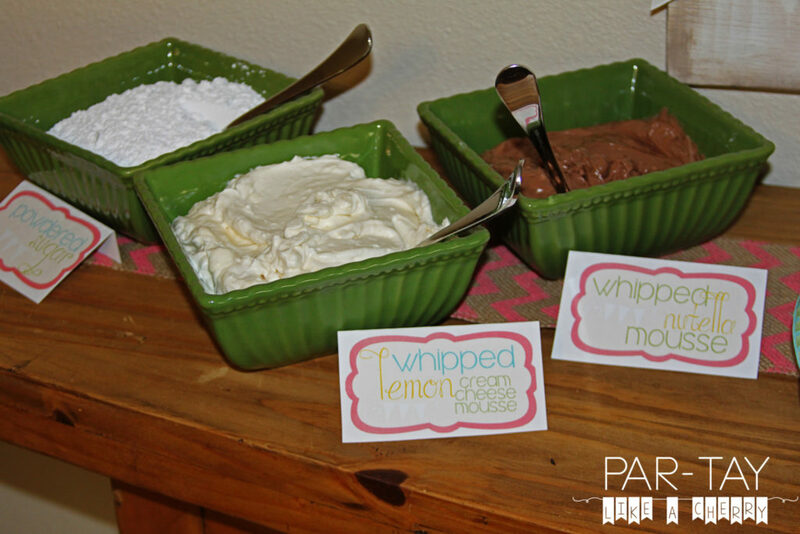 The biggest winners by far were the cinnamon vanilla crepes and the lemon cream cheese mousse. Ok, great, now I’m drooling. Dang diet. 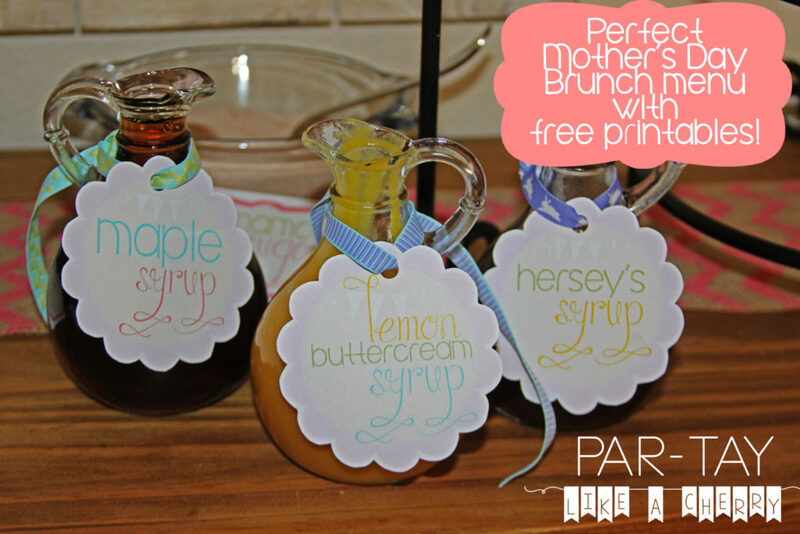 Anyway, this menu really makes the PERFECT Easter brunch, and would also be great for a baby shower or for Mother’s Day brunch. Is there a mother out that that doesn’t want to wake up to a crepe buffet? Nope. Didn’t think so. 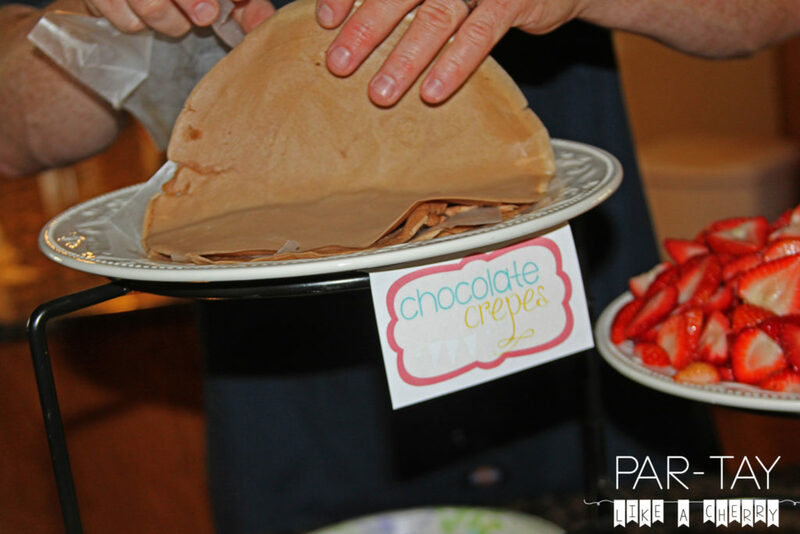 I love Jamie’s tip to put wax paper between each crepe! This made it so easy for people to grab one without them all sticking together. I pre-cut about 50 wax paper squares ahead of time so I was ready. By the way I LOVE this dinner plate rack- it is so versatile! I seriously use it for just about every event that I host. Amazon has a similar one here if you want to check it out. Now I have my eye on this one, it would be perfect to load up with fresh fruits! I like to make the crepes as people are arriving so they are hot, so I try to have everything prepared. I pre-make all the batter that morning and store it in pitchers in the fridge until about T minus 30 minutes when I start heating up my pans on the stove and start making the crepes. After you fill your crepe with fresh fruit, smother one of the mousses on the inside of your crepe (the lemon mousse is seriously to die for! 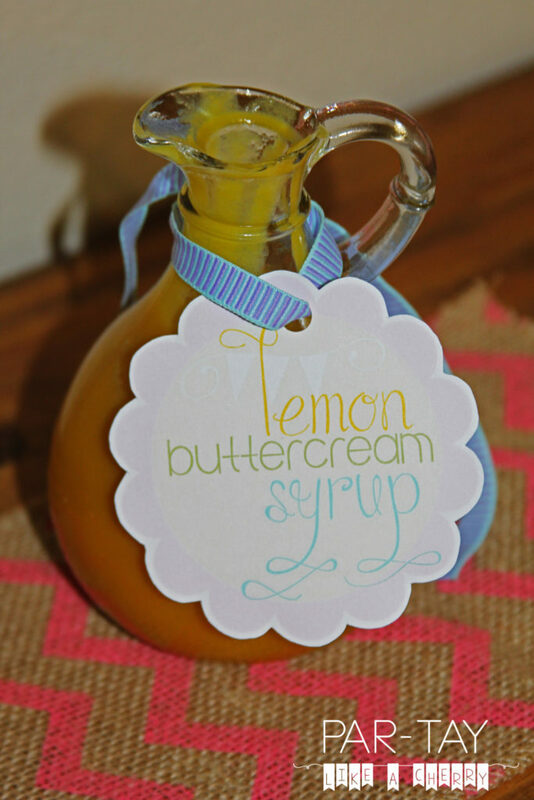 especially made with fresh lemon juice from our lemon trees!). 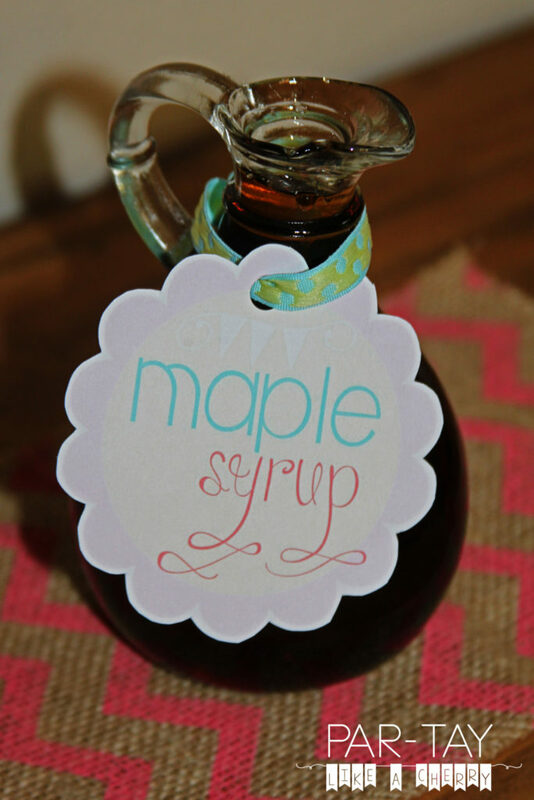 Add some syrup, and voila! When brunch is over we move on to the egg hunt! 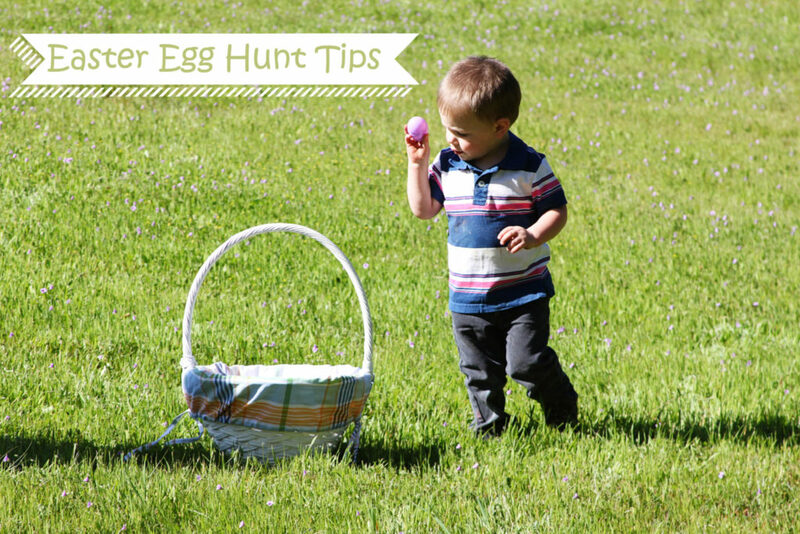 I ask that each family bring 15 already filled eggs per child participating in the hunt. A couple moms take the kids into the back yard while the rest of the adults head out front to hide all the eggs (in our case most of our property is in our front yard). We keep the kids occupied playing a few games (like who can do the furthest bunny hop, we mark their hops with chalk) while they wait for the eggs to be hid. One trick we have learned is to divide the “hunt area” into two. We have an “under 5” section and an “over 5” section. Our driveway happens to run pretty much right down the middle of our property so that is the dividing line for us. The eggs in the under 5 section are basically just laid in the grass. The eggs in the over 5 section are hidden a bit more trick-ily (yup its a word people). Up high in trees, under rocks, you get it. Anyway, and of course there is the rule of NO RUNNING! Also the children are told how many eggs they can find (in our case 15), and after that they have to stop looking (and start enjoying their spoils!). This seems to help our egg hunt go pretty smoothly. 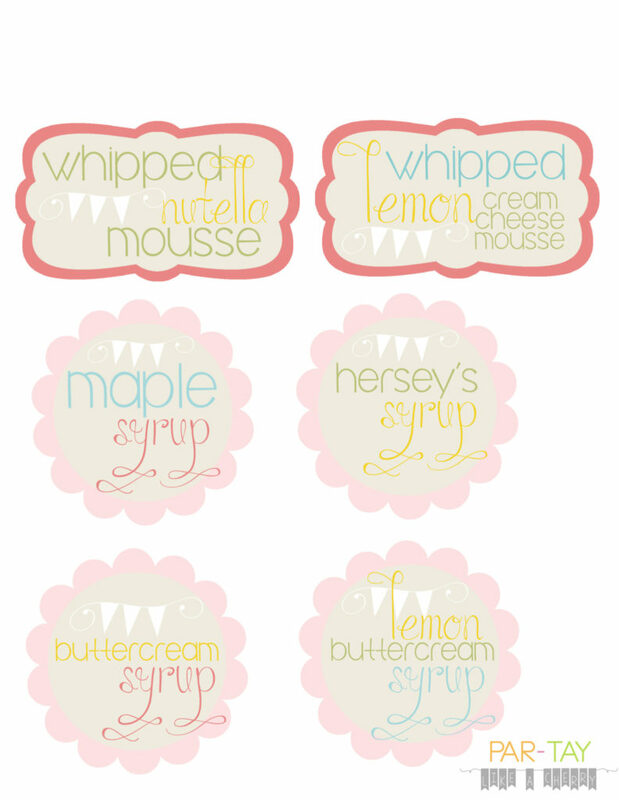 If you are ready to download your free crepe buffet food labels follow the buttons below. 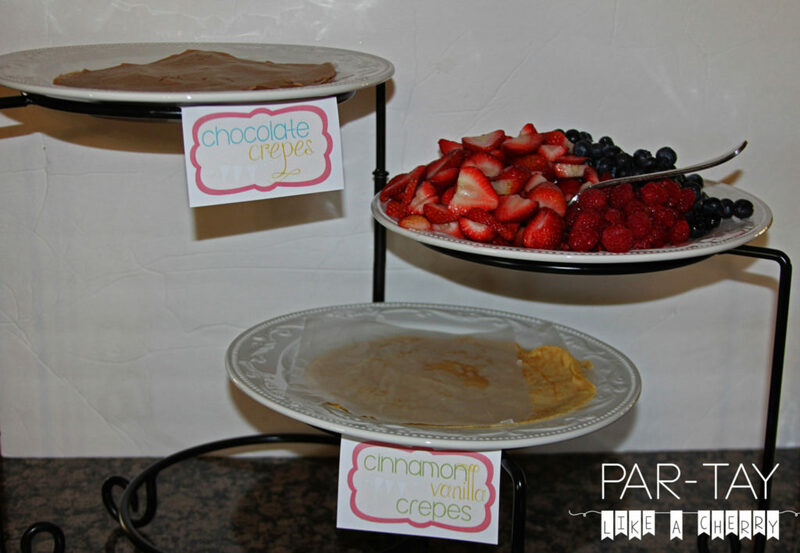 And for the full crepe buffet menu be sure to head on over to Jamie Cooks it Up! (and check out the rest of her stuff while your there, you won’t be dissapointed!!). If you are looking for other baby shower ideas check out these posts: Birds & the Bees Baby Shower Ideas & Fiesta Invitation. 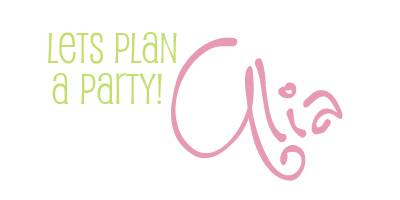 And be sure to follow along on Facebook to stay up to date on all things Parties! !